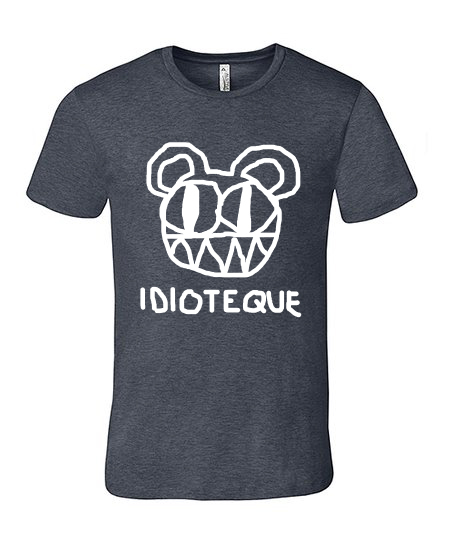 Idioteque t-shirt featuring our “scribbly bear” logo. heather style 50/50 cotton/polyester, very soft shirt. Crew neck.